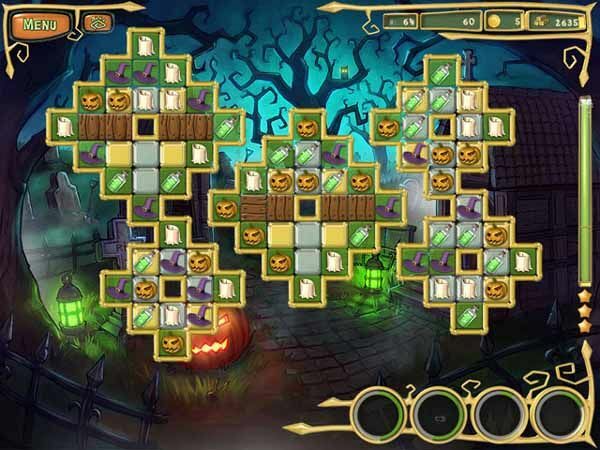 Free download Tricks and Treats PC game. It is a puzzle game. Prepare your mansion for devilishly fun party. Download Tricks and Treats free full version game and start playing now! Welcome to the midnight party of Tricks and Treats! We expect all members of our big family to come. I see a wolf coming over a dark forest, I see a small bat flying. I see many other things… Some of them are over Europe, some over India, some over South America. And they’re all coming this way! Hurry up! We have to prepare the house for the guests! Work your way through challenging puzzle levels and design your own spooky mansion in the engaging puzzle game. Earn lots of gold and silver to buy new upgrades. Get your own portion of Tricks and Treats.